In an age when everyone seems geared toward technology, innovation and futurism, it’s actually the oldest asset in the gym which is becoming ever more important: the people. Inspirational individuals remain the only USP in the gym that rivals can’t copy and a recent IHRSA report covering 86 European health club leaders found that recruiting and retaining great staff remains their number one challenge. This shouldn’t come as a surprise when you consider that Millennials (now the largest member category) place heightened value on the experience when choosing where to train. Staff still have the power to make or break a gym experience and the ongoing group fitness boom means that a single rockstar instructor can pull in hundreds of loyal followers to a club each week. UK gym chain Village saw class attendances jump 40% thanks to a recent focus on upskilling group fitness instructors – expect to see more chains investing in their people and culture this year as a means to stand out from the pack. For younger gym tribes (both Millennials and Gen Z) the experience is everything and this extends from the front desk staff through to the fixtures and furniture, resulting in a growing focus on beautiful design. 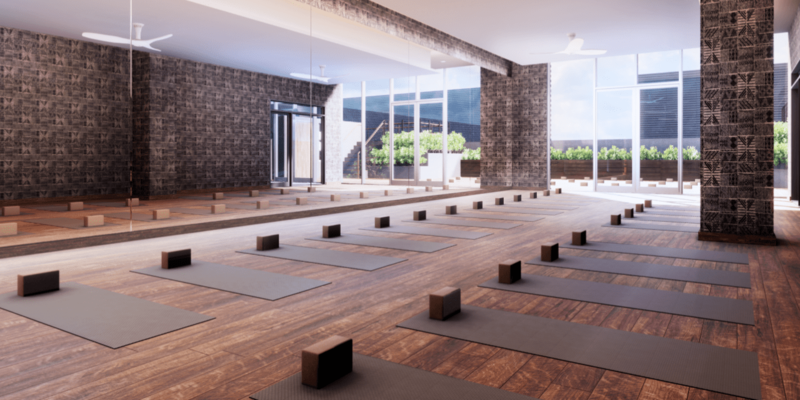 High-end clubs like Equinox, Lifetime, Midtown Athletic and Third Space are collaborating with architects to raise the bar in terms of club aesthetics. Meanwhile, statement studio concepts such as 1Rebel’s “spin studio amphitheatre” and Midtown Chicago’s The Theater create experiential workout spaces with a touch of the dramatic. Having spent the best part of the last decade slugging it out over members, boutiques and big box clubs are starting to show a mutual appreciation. Traditional clubs are emulating the boutique experience and seeking to maintain their share of members’ fitness spend by offering ‘club within a club’ boutique offerings, such as indoor cycling, HIIT and boxing. 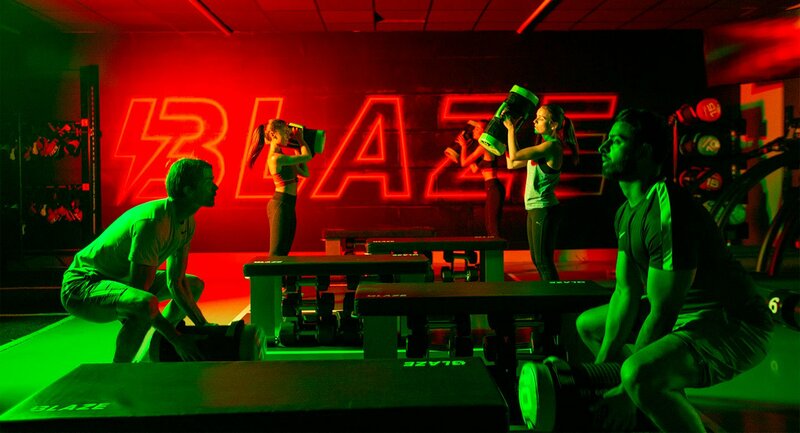 David Lloyd Leisure has made waves with its HIIT-flavoured Blaze concept, which it plans to roll out across 63 UK clubs by Spring 2019, while a number of clubs globally have licensed high-quality group fitness programs to be offered in stylised studios. Having hollowed out much of the mid-market, expect budget clubs (with bigger footprints and sleeker interiors) to start filling this vacuum, as they begin to resemble leaner versions of the very clubs that they put out of business. This will become even more imperative as some of the budget sector powerhouses seek to flex their muscles on the international stage. With over 1,500 franchised sites in North America, Planet Fitness has long been suspected of harbouring plans for expansion into Europe, while a move in the opposite direction across the Atlantic for European budget powerhouse Basic-Fit (565 clubs and counting) could equally crank up the heat on US rivals. Watch this space. Club apps are becoming a basic expectation for members who want to book classes and seek out info on their smartphone, while many clubs are now partnering with fitness streaming services to cater to their members’ workout needs at home and beyond the club. 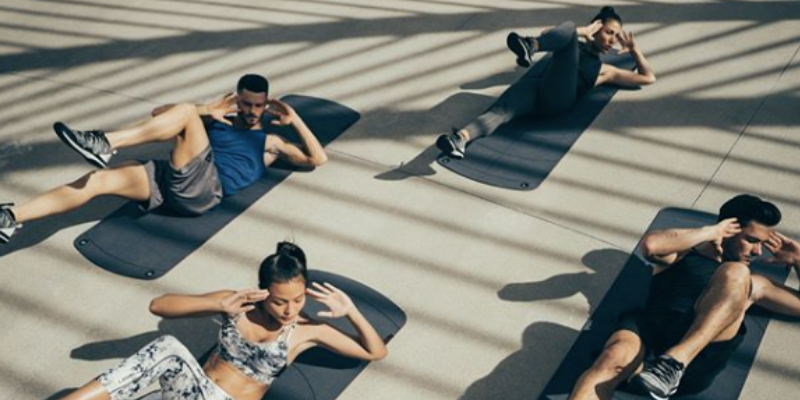 Far from supplanting the gym, these services help to ensure members keep up their exercise habit and avoid becoming a retention risk, while Les Mills On Demand also provides ancillary revenue to clubs through its shared income model. Fitness is among the most talked about topics on social media, attracting millions of new posts every week. But in a sea of selfies and hashtags, clubs have traditionally found it tough to cut through the noise and create a loyal following that drives membership. The answer, it appears, is to work smarter rather than harder. Rather than tackling the problem head-on and pouring even more resources into creating content, pioneering clubs are flipping the problem on its head by incentivising members to do the marketing for them. Using innovative platforms such as Upshow – a social TV concept, operators such as Midtown Athletic Clubs and Crunch Fitness West Florida are harnessing the power of user-generated content to devastating effect. By putting its members in the spotlight, Crunch has reported a 1,550% increase in hashtagged posts over just 8 months and has attracted new members in droves. The franchisee recently reported signing a staggering 3,000 members on the first day of pre-sale for its new Riverview club and is also leveraging social as a means to boost engagement among existing members. As Millennials and Gen Z usher in a new era of smartphone-centric club interactions, social media channels are fast becoming the new front desk for health clubs.